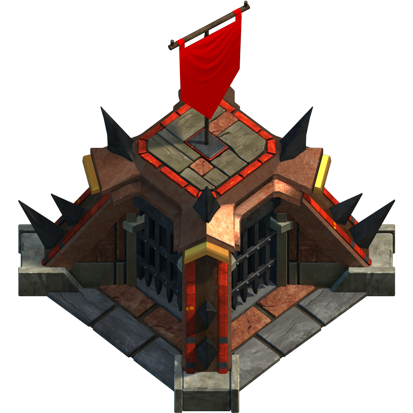 Release Soldiers from your bunker to defend your stronghold, not to be underestimated these pesky troops are sure to slow oncoming attacks. Level this up to increase Troop Level, Squad Size, and shorten the cool down period between attacks. 1. Wardens: Adds 2x Wardens at level 11. 2. Mauler: Adds 1x Mauler at level 10. 3. Paladins: Adds 2x Paladins at level 10.